Southwest was the launch customer for the Boeing 737 MAX 8 having placed orders for 280 planes and as of January, has 31 Boeing 737MAX8 operating flights across the United States. 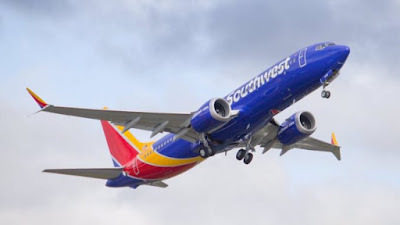 Per Wikipedia, Southwest or WN in airline lingo has a fleet of 755 airplanes all of which are of the Boeing 737 variety. They also have orders outstanding for an additional 275 planes. Some say that the website has been scrubbed from mentions of the 737MAX8. Flights such as SJC to HNL which were to be operated by the MAX are now referenced as 737-800. Here at PremiumCabin.Deals/No737MAX.com we are writing to the FAA to file a complaint/request information as to the labeling of this plane and these routes. If you have any questions or need additional details feel free to reach out to the team here at PremiumCabinDeals.com and follow us on Instagram!